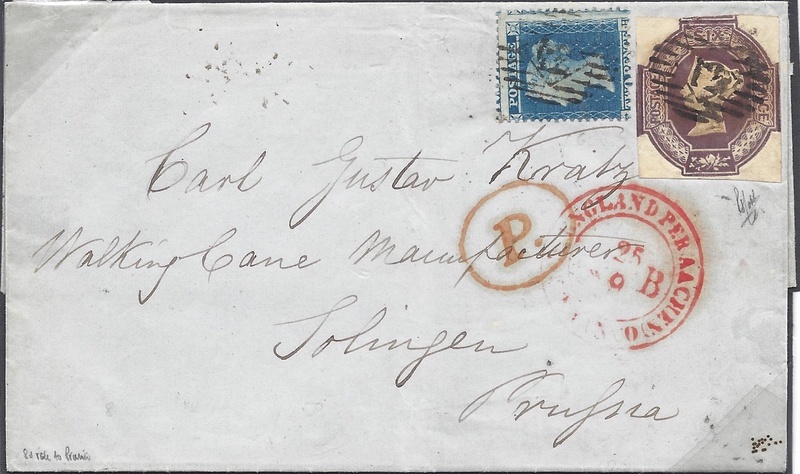 1855 2d BLUE, SG 23A and a very fine four-margin EMBOSSED 6d PURPLE, SG 60, tied to cover to Solingen, Prussia, by very fine London District '12' numerals. AN ATTRACTIVE COVER. Holcombe certificate.